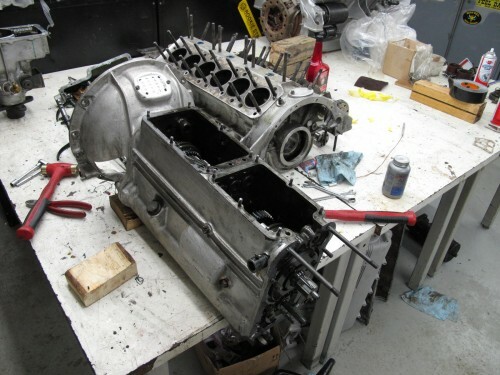 After overhauling dozens and dozens of Ferrari transmissions I have a good idea on what to expect when the case is opened up and shafts are broken down. 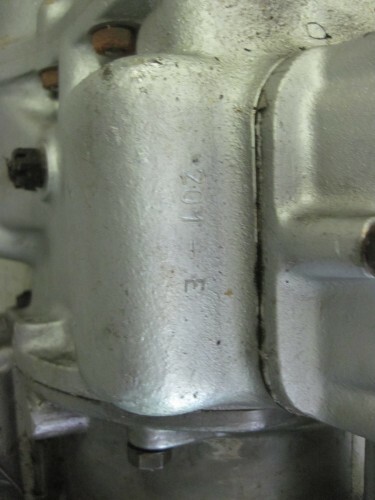 Whether it’s a 250 GTE 4 speed, a 246 GT Dino trans-axle or a 330 GTC/Daytona style 5 speed trans-axle, synchronisers on Ferrari’s do not last many miles however, the rest of the components are over built and hold up well.. The bearings and gears are over built and the machined parts like flanges and shafts are impeccably machined using incredibly hard steel. 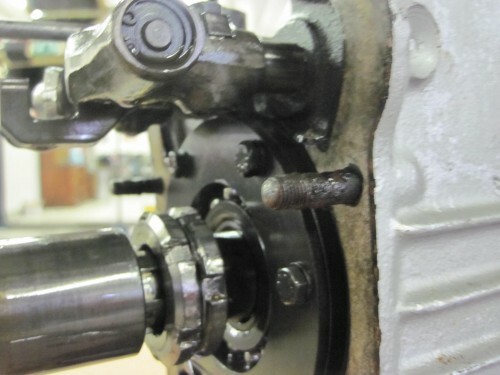 The transmissions have oil pumps that pressurize the main and lay shafts to keep everything thoroughly lubricated so the bearings that the gears turn on are flooded in a pillow of oil. 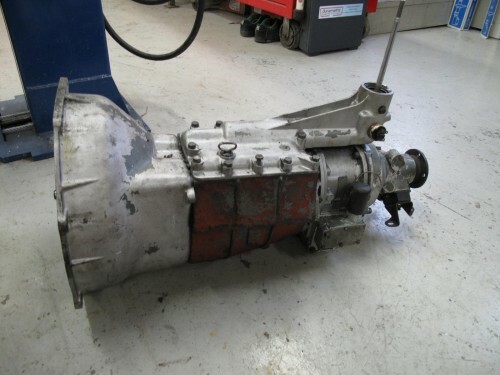 This transmission out of this 250 shifted well but had the typical severely worn synchronisers so I was prepared to perform the “normal” repair of cleaning, inspecting and replacing the end bearings and synchros. 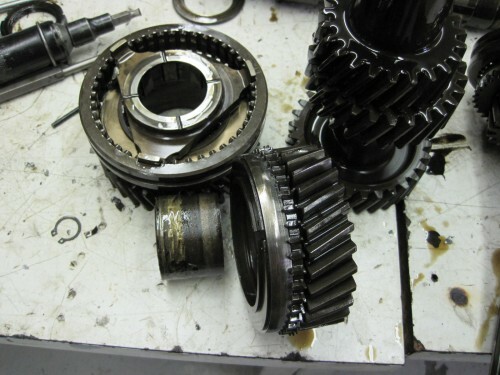 This trans had been run without oil for a long time and the bearings in the photo were so wiped out that there was about .020″ clearance between the gear and bearing where there should only be about .005″. How did this thing work at all? 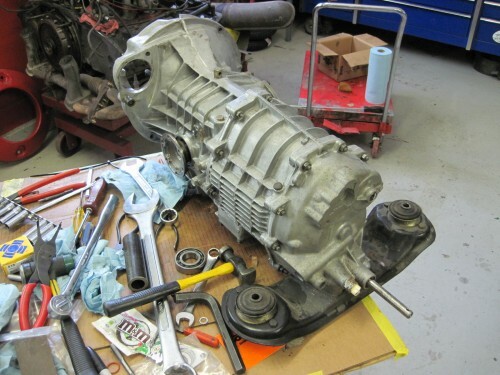 I got the transmission all buttoned up. It is in the car and I will get it on the road tomorrow AM. It shifts well from my little test on the lift, hope it feels as good on the road! When I first drove this 1983 Porsche 911, I found the shifting to be difficult and it was grinding gears badly. My suggestion to the owner was to get in and replace the synchronizer bands before something breaks. After taking it apart I couldn’t see much wrong and the synchros seemed used but not totally worn out. 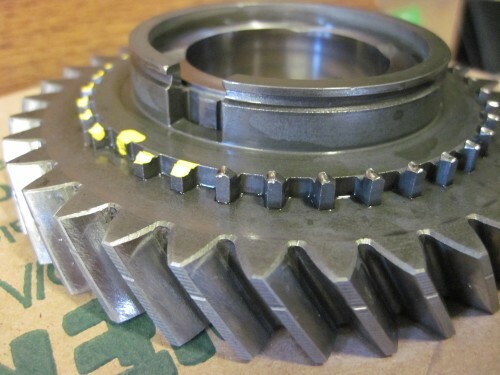 Like many other car manufacturers, the synchro for 2nd and 3rd gear is different than of the other gears and maybe someone put the incorrect part on the gears. It wasn’t until re-assembly that I noticed that the dog teeth on first gear were chipped and remembered that the slider (operating sleeve, shift sleeve) for 1st gear has asymmetrical internal teeth to meet up with the corresponding dog teeth on 1st gear. 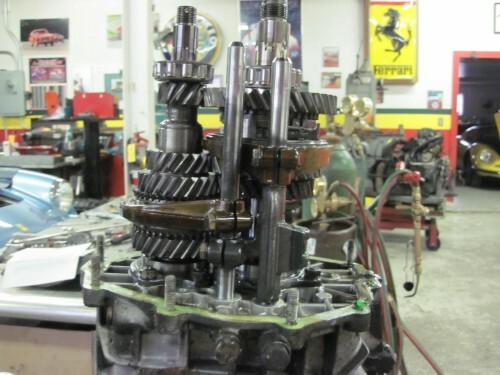 The operating sleeve can be reversed so the side that should engage 1st gear is incorrectly jamming into 2nd which makes engaging into either of these gears while under motion nearly impossible. Lucky for the owner, I located a shop who can replace just the dog teeth (engagement teeth) for short money without having to spend the $2000 that Porsche quoted to get the parts. 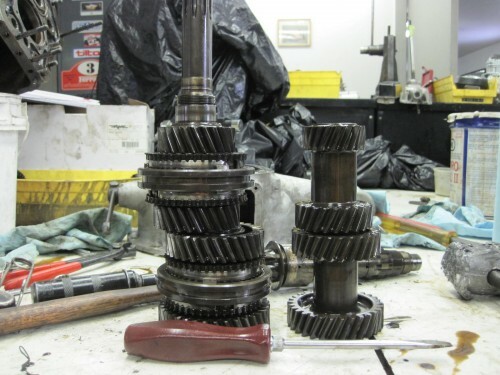 We sent 2nd gear from a 901 transmission to the same guy for repair and cannot wait to see how they look and more importantly how they perform. 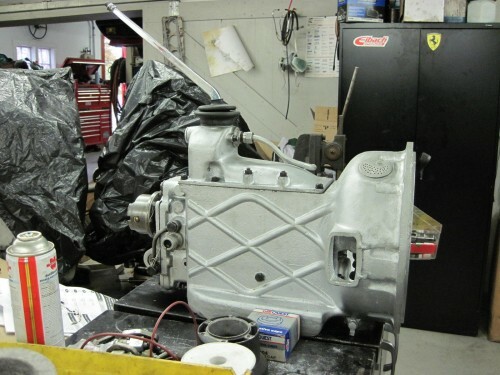 Still looking for someone to explain to us why Ferrari went from the compact light weight and wonderful shifting transmissions in the early 166/195/212/225 cars to enormous and heavy cast iron transmissions on the later 250/330/365′s. 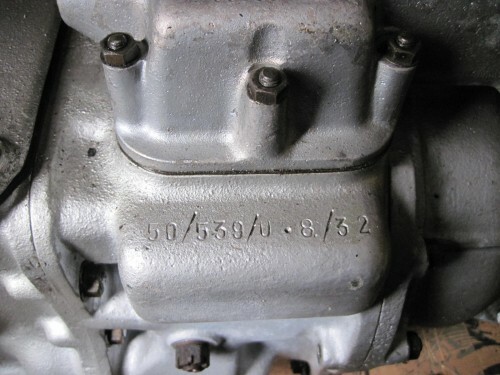 Here are photos of the 330 2+2 5-speed and a 166 5 speed. There is about 100 lbs difference in weight and a considerable size difference. 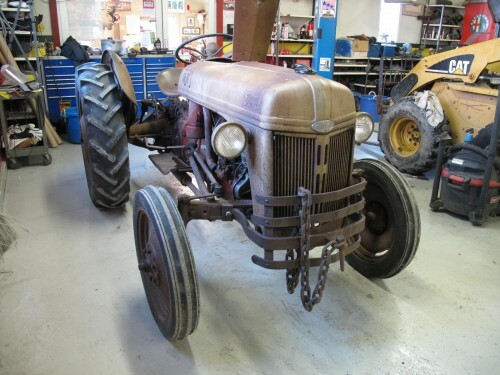 Did Ferrari use some truck or tractor transmission for these later cars? The blue 330 GT 2+2 that came in earlier this year ended up needing an engine overhaul but I was fortunate to be able to drive the car prior to breaking it down. 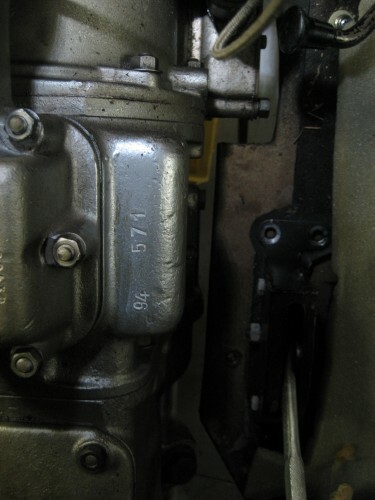 The transmission shifted perfectly but on acceleration/deceleration the shift lever moved back and forth significantly. 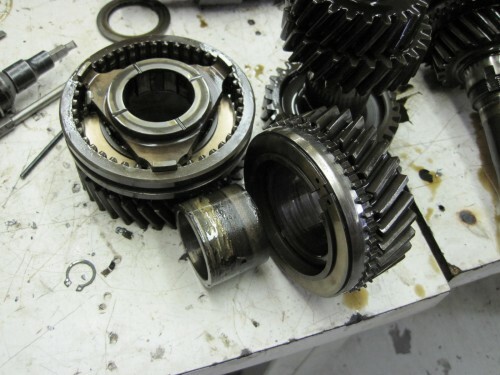 As some may remember, this same thing happened to a 330 GTC transmission a few years ago and it turned out to be a loose ring nut on the main shaft. 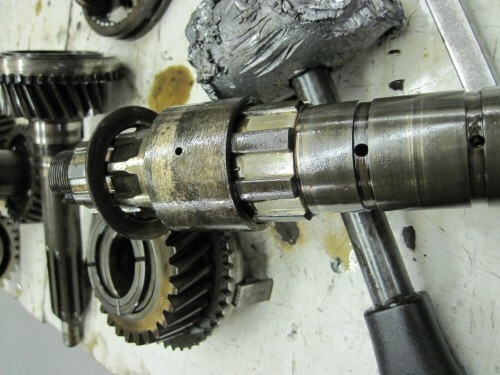 I was certain that we had the same issue on this 330 2+2 and when I took off the top cover, it was instantly obvious that the ring nuts at the back of the main shaft holding the gear cluster on were totally backed off. They are doubled up to jamb together to prevent loosening plus there is a locking tab for extra protection on backing off… but still, someone managed to mess this up. Thankfully no damage was done to the internals. 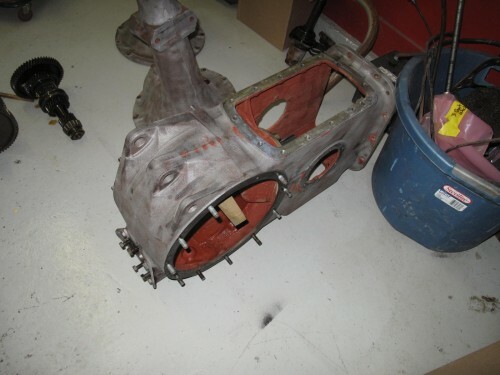 Here are some more photos of the GTE transmission that I am overhauling. 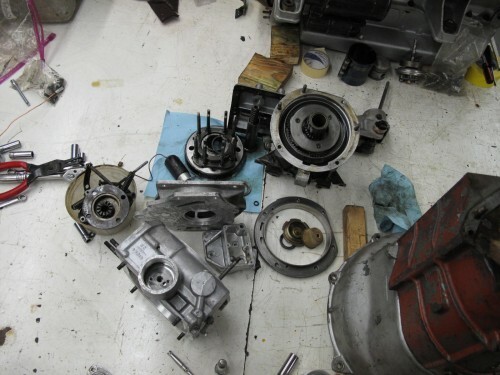 Everything else looks fine inside, we are replacing all of the bearings and synchroinzer bands. 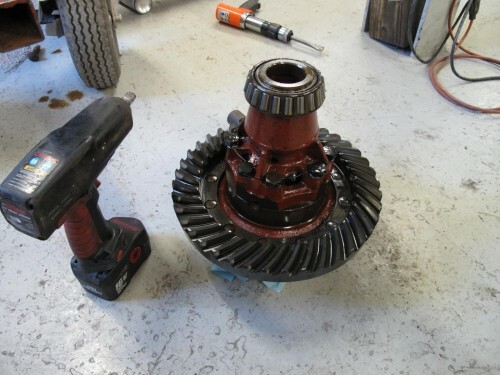 The main shaft and lay shaft gears are all in excellent condition. 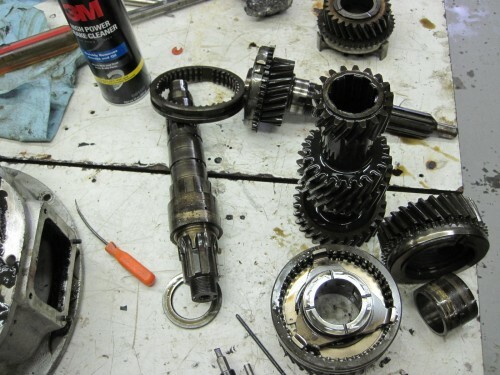 but the gears and spacers are all good. 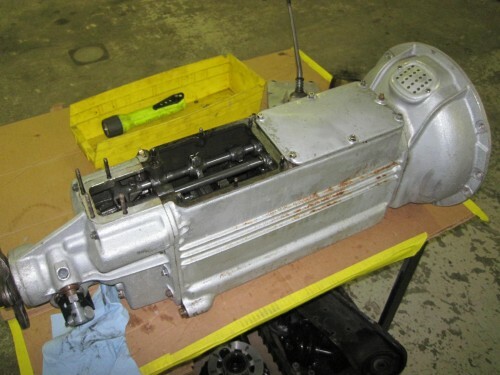 Last month we removed the transmission on a 250 GTE to have the overdrive that was inoperative inspected and rebuilt. 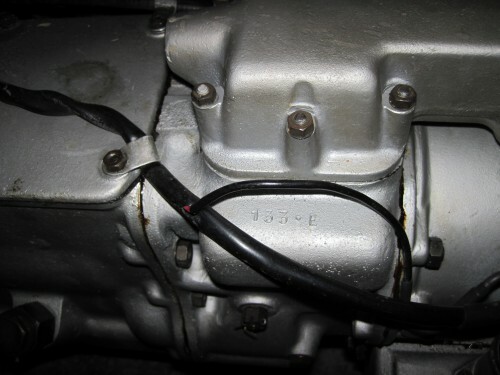 When our friend John returned it to us, he mentioned that the filter on the overdrive was packed with metallic fragments that must have come from the transmission since nothing metallic matching this debris came from the overdrive. 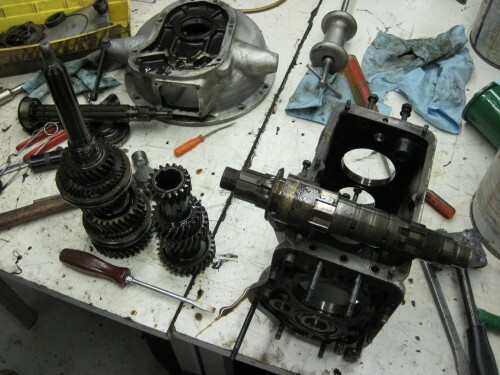 He told me that without removing, inspecting and super cleaning the transmission, there is no way the overdrive would last more than a few thousand miles. I could not imagine what could have been a problem since it shifted well and was quiet when I drove the car prior to the tear down. 3rd, gear bushing style bearings are all torn up and the lead/tin coating has been wiped off the surface, probably from a low oil condition. 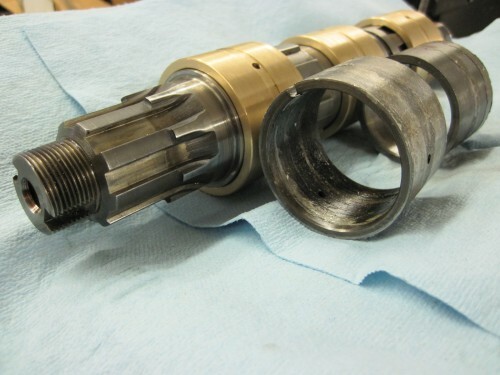 I bet there was a pound of metallic sludge in that overdrive brass screen filter.